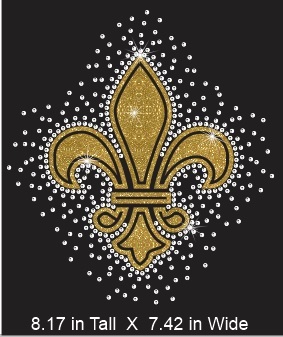 This Gorgeous multimedia design is a MUST have for Mardi Gras apparel. The design is a multimedia design made rhinestone accents and Multi-colored glitter vinyl accents. Make appropriate selections below. The approximate size of this design is as indicated.